In the nearly two years that Sundae School has been in the fashion game, they’ve taken streetwear to new heights - and highs. 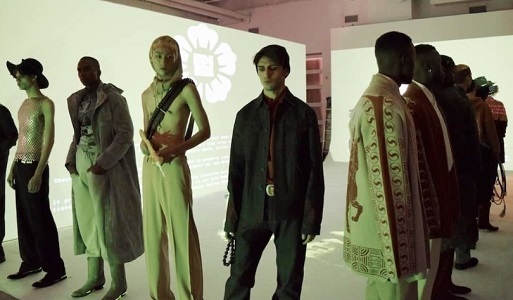 Thumping, playful club music and darting green lasers straight out of The Matrix greet visitors entering the studio space in Downtown Manhattan where Sundae School, a cannabis lifestyle brand, is showing their Fall/Winter 2019 collection as part of New York Fashion Week: Men’s. The wall behind the runway is set up to look like a computer screen in a government lab. One tab displays a timer ominously counting down the seconds until the show starts.